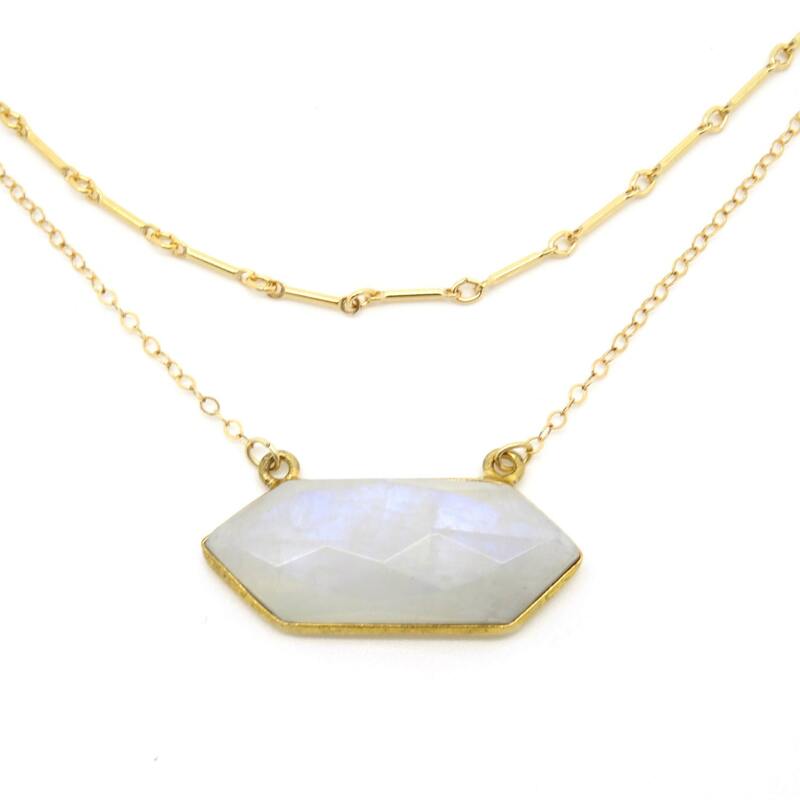 I love this beautiful little geometric moonstone layered necklace set of pendant and chain! 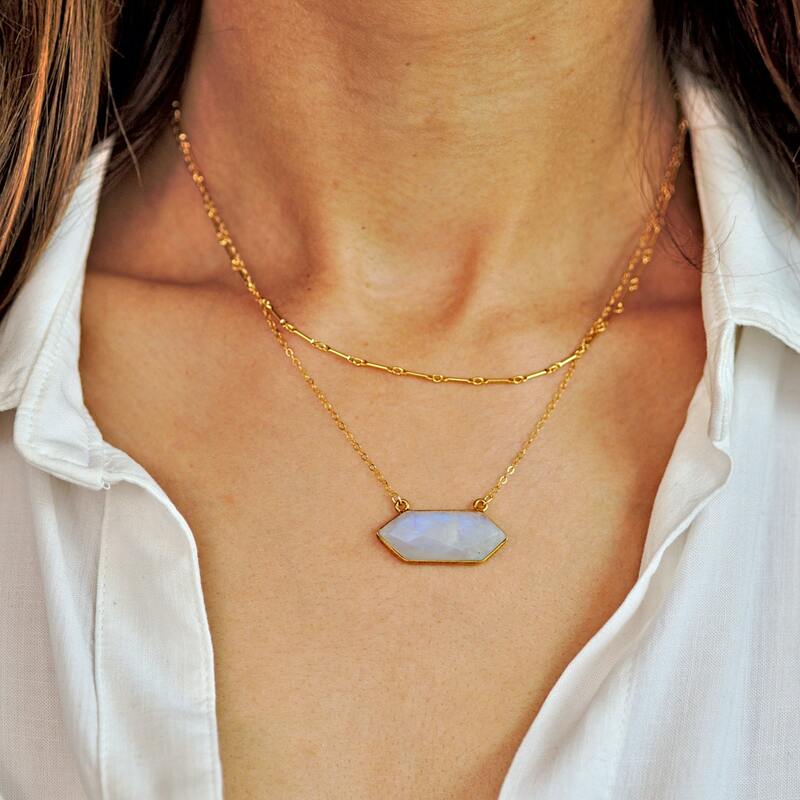 It's a truly unique piece made with high quality moonstone with beautiful flashes of blue. Stunning! » Select your length at checkout. 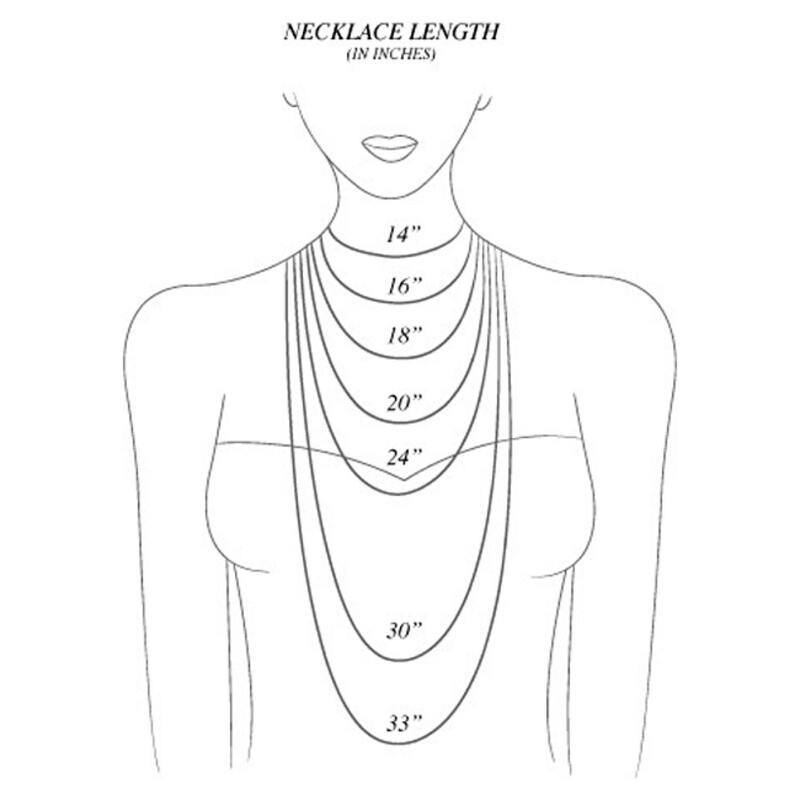 Length refers to the shortest necklace (the gold bar necklace). 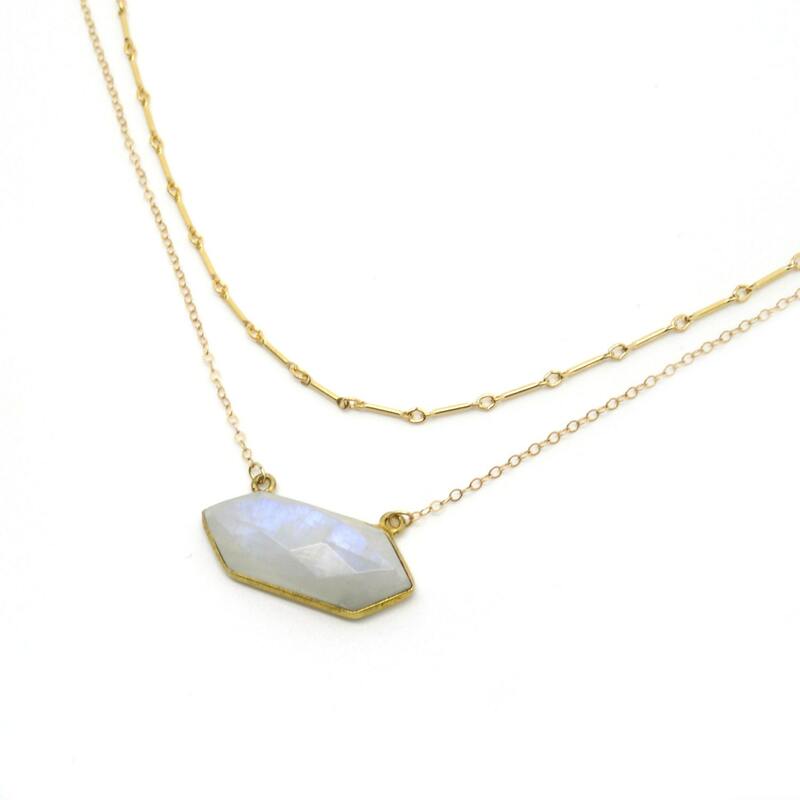 The moonstone necklace will be automatically staggered by two inches. 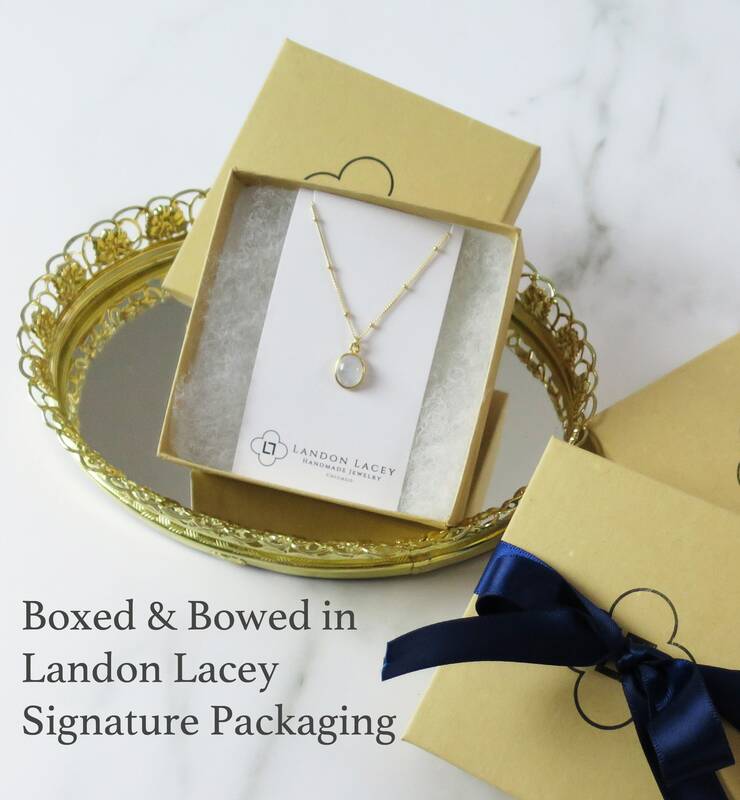 The necklaces do not come attached to the same clasp unless otherwise requested. » Model Details: the model is wearing the top necklace at 16" and the bottom necklace at 18"
Exactly as the picture showed! I love it!